If you think all financial advisors are required to act in the best interest of their clients, you might be surprised to learn that it’s perfectly legal for many advisors to put their own interests above yours. You wouldn’t be alone. According to a Bloomberg News poll, 75% of investors believe that financial advisors at brokerage firms are required to work in the clients’ best interests (i.e., under the fiduciary standard). Of course, if you’ve read Choosing a Financial Advisor by Savvy Parents Founder and Editor-in-Chief Shannon McNulty, you know that only some advisors are required to act put their clients’ interests above their own. For decades, consumer rights advocates have fought to impose higher standards on financial advisors, and for decades, the financial services lobby has successfully fought back. So this spring, when the U.S. Department of Labor (DOL) issued a rule raising consumer-protection standards for advisors who provide advice in connection with certain retirement accounts, consumer advocates had reason to celebrate. The new rule requires that advisors who provide advice regarding investments in a tax-deferred retirement account be subject to a fiduciary standard instead of the traditional suitability standard. The traditional suitability standard requires only that an advisor’s recommendation be “generally consistent” with client goals and objectives and not entirely unsuitable for that client. Under the suitability standard, the advisor is not required to recommend the best or lowest-cost investment for a client or avoid conflicts of interest. Advisors who work for brokerage firms, wire-houses, banks, credit unions, insurance companies etc. are legally subject to the suitability standard and are free to put their own interests ahead of those of their clients. At the heart of the suitability standard lies the investment product, and whether the product is “suitable” for the client. In practice, this often means recommending annuities or other complicated, high-fee investments that are a poor choice for the client, but which pay a high fee to the advisor. In fact, the new rule was driven, in part, by a study showing that the average American would have to work three years longer before retiring as a result of fees they pay in their 401(k) plans. A fiduciary is a person who has an obligation to act in the best interests of their client. Several types of professionals, including lawyers and accountants, are required to act as a fiduciary to their clients. A fiduciary must actively seek to avoid conflicts of interest, disclose them to the client if they do ever arise and always resolve them in the client’s favor. Financial advisors who act as a fiduciary must be loyal first and foremost to their clients ahead of their employer, and the advisor may only recommend those investments that the advisor believes are the best choice for their clients. At the heart of the fiduciary standard lies the client. After the rule goes into effect on April 10, 2017, anyone advising clients with respect to retirement assets is subject to the fiduciary standard. The Fiduciary Rule will be enforced by both the DOL and investors. While the DOL can police some of the policies and procedures of the advisor firms, primary enforcement may be through lawsuits by individual investors or through a class action. After the new rule goes into effect, you will be able to sue your advisor if he or she fails to act in your best interest. While the rule represents progress, its impact is limited to investments in tax-deferred retirement accounts, such as IRAs and 401(k)s. Advice in connection with any other accounts or for any other purpose remains subject to the suitability standard. This can lead to an odd situation in which in the course of one conversation about a client’s finances, an advisor could legitimately “switch standards” mid-conversation and be a fiduciary one moment and then subject only to the suitability standard the next, depending on which accounts he or she is discussing. It is expected that the Securities and Exchange Commission (SEC), which has jurisdiction over all types of accounts and investment advice, will impose a similar rule in the near future. What Does the New Rule Mean for You? 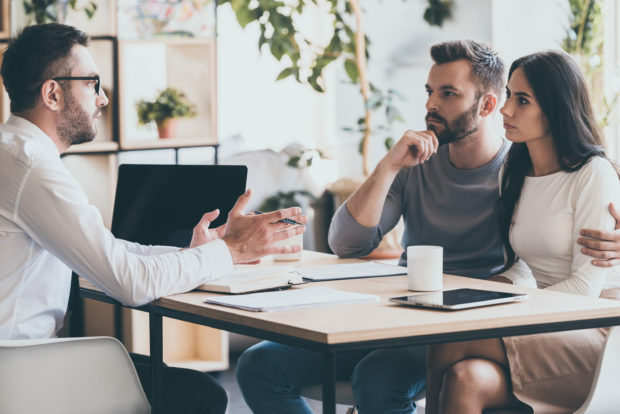 Whenever you’re choosing a financial advisor or thinking about whether to stay with your current advisor, it is important to understand the advisor’s legal obligations to you. Many advisors are already subject to the fiduciary standard in all of their interactions with clients, so the new rule will have no effect on these advisors or their dealing with you. The advisors who fall into this category are called Registered Investment Advisors (or RIAs). If you have your money invested with an advisor who is subject to the suitability standard, then you now have greater protection with respect to advice about investments in your tax-deferred retirement accounts. The advice you receive with respect to other investments continues to be subject to the suitability standard. Some advisors who legally operate under the suitability standard may be ethically bound by the fiduciary standard pursuant certain professional organizations or designations. For example, individuals who hold the CERTIFIED FINANCIAL PLANNERTM designation are required by the Certified Financial Board of Standards to act in the client’s best interest. It’s important to note, however, that this duty is not enforceable as a matter of law. If you aren’t sure if your advisor is subject to a fiduciary standard, simply ask them. You can also ask them for their Form ADV, which must be filed with either the SEC or the state regulatory authorities (for smaller firms). A true fiduciary financial advisor is required to produce this upon request. These are the only individuals who are required to act as fiduciaries at all times under current law and can be sued for failing to act in your best interest. Resources such as the websites of the CFP® Board (www.letsmakeaplan.org) and the Financial Planning Association (www.plannersearch.org) have tools to find, research and contact financial advisors in your area.